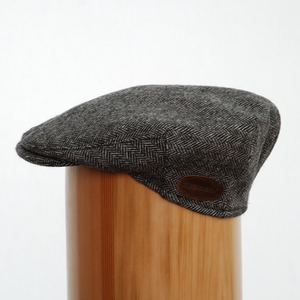 We have been stocking Carnaween Tweed caps made in Donegal for nearly a year now. 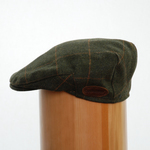 They are in the high end of the flat cap range. Hand finished with extraordinary attention to detail such as the satin lining, a Carnaween Cap is something special. The company was set up by Carmel Weir and her partner, Carmel has been in the business for many years, she has taken bespoke tweed carftsmanship to a new level such is their quality and style. Pictured above is the Charrig style and the grey herring bone in Clochan style above, all named after place names in the Malin Mhór area of North West Donegal.